An expert witness who can provide a detailed testimony lends your case credibility and leverages a stronger position, whether you are negotiating a settlement or going to trial. When facing litigation or arbitration involving a complex real estate issue, a mortgage expert witness can help to clarify the finer points of a legal debate and help parties and their attorneys present a compelling case. The Law Offices of Steven Gourley, located in Torrance, CA, offers broad experience in real estate law and advises other lawyers on issues related to commercial hard moneylenders and mortgage fraud. 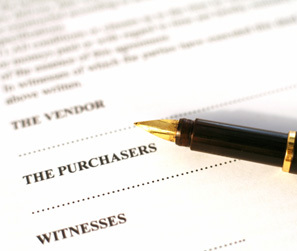 Various types of mortgage witnesses can provide in-depth and specialized knowledge on a particular subject or industry. California and federal mortgage laws are complex and constantly evolving to meet the needs of the real estate market. As experienced mortgage expert witnesses, we can provide necessary testimony and act as a consultant to help parties understand how the law applies to the case. We are prepared to counsel and advise attorneys who may not have a strong background in real estate law. An expert witness can prove to be an advantage at any stage in your case. From investigations through trial, an expert witness can ensure that you have necessary and important legal documentation to support your case and claims. We lend 30 years of experience to attorneys throughout the Torrance & Los Angeles areas to help successfully pursue or defend individuals and businesses in cases involving mortgage fraud. Our firm takes the time to review your case and pursue every available opportunity to achieve a successful result. For more information about expert witness testimony services, call the Law Offices of Steven Gourley at 424.286.9246 or contact us online. Our attorney and staff are dedicated to achieving the best possible outcome in your case. We work with businesses and organizations in the Los Angeles area and throughout California.